Ululation and jubilation ringing through St Andrew’s Cathedral of Wa on Saturday 25th August 2018 expressed the meaning of the priestly ordination of our two confreres Francis Xavier Angkosaala and Peter Claver Kogh together with five other ordinands for the diocese of Wa. This was the joy of the Christian Community to have these seven men responding joyfully to the call of God to proclaim the Gospel of joy to all nations. It was raining cats and dogs and yet people came in their numbers that the latecomers struggled to find a place to sit. In the wake of the latest splashes from the United States, Stéphane Joulain has posted on Facebook some of his thoughts on the training of priests for the 21st century. As many of us are not Facebook enthusiasts, I reproduce this post here. Priestly ordination of Robert Kubai Muthamia, M.Afr. The meeting of PAO ‘stagiaires’ took place from 17 to 23 April 2018 in Bobo-Dioulasso. It was attended by 19 ‘stagiaires’ and two facilitators, Fathers Delphin Nyembo Mabaka and Pawel Hulecki. The arrival of the ‘stagiaires’ and the facilitators went as planned. The organization chart of the meeting included a morning of recollection, various sharing of ‘stage’ experience, a visit to a site in Sindou, the visit of the Samagan Novitiate and the renewal of the declaration of intent. The meeting began with a recollection preached by Father Jean-Claude Kaburame. Its main theme was: To new wine, new wineskins. This allowed the participants to return to the source of their mission and their commitments in the Church. An invitation to join the Body of Christ, to become a light body with Christ and in the Spirit. 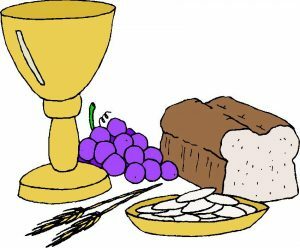 An invitation to work in the vineyard of the Lord, to earn bread. The recollection was closed by a Eucharistic celebration. The rest of the meeting was devoted to the sharing of ‘stage’ experiences. 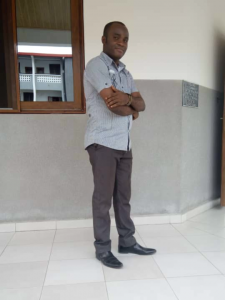 Overall, it turned out that everyone, as far as he was concerned, could detect the roses and thorns of his experience that could be in community as well as outside of it. However, grace has abounded in everything. And as all the experiences contribute to our formation, all is good for the one who loves God. After that, the visit to Sindou had many surprises in store. We were welcomed into the community of the Missionaries of Africa, but the actual visit began the next day. The site of the caves in Douna bathed us in wonder, with the view of the peaks and the nature. We were about to build three tents… Coming out of the caves, we had a good time and a reunion at the Samagan Novitiate. Finally, on Sunday the 22nd, nine ‘stagiaires’ from the second year of ‘stage’ renewed their declarations of intent during a Eucharistic celebration presided over by the PAO Provincial Assistant, Father Delphin Nyembo. During the meal, we had a nice surprise. The Archbishop of the Diocese of Bobo-Dioulasso, Mgr. Paul Ouedraogo, visited us. Everything went very well, under the influence of the Spirit. All’s well that ends well, as they say. After this precious time of meeting, the students of the PAO expressed their joy of being able to meet, to share, to gather around the only Master. May our Society live. “Have an esprit de corps,” Lavigerie told us. One of the challenges we face in everyday life is the mutual support of our joys and sorrows. Ah ! If we were not only united but one; is it not the wish of every human being in his social, religious and even political life? 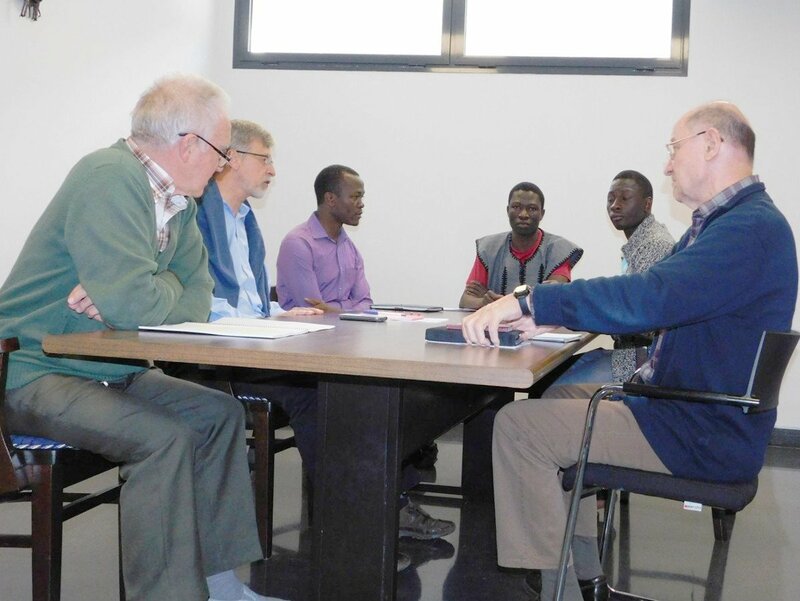 At our level of formation with the Missionaries of Africa, this mutual support was concretized by a meeting of the stagiaires of the Province of Europe and their spiritual companions. Six members took part : Georges Jacques (Provincial Assistant and Responsible of the stagiaires within the province), Bernard Delay (stagiaires’ coordinator in the sector of France), Jesus Zubiria (Provincial Delegate and stagiaires’ coordinator in the sector of Spain), Jonas Yamba (2nd year of stage in Spain / Roquetas de mar), Moses Ariho (1st year of stage in France / Marseille) and Emile Kimembe (1st year of stage France / Toulouse). This meeting took place in Madrid from the 4th to the 6th April 2018 and in comported three parts. First a time of prayer, then a time of sharing of our apostolic experiences and finally a time of relaxation. What is the impact of the cultures of our places of stage on our spiritual, social and apostolic life? What did we learn? How were we welcomed in our sectors and communities? What are the prospects for the future? This was, by and large, the major questions of our meeting. This article will just give a general view. First we will briefly talk about the reception in the community. Then we will talk about our interviews. And finally we will talk about our time of relaxation. It is a very strong and remarkable element when one arrives in the community of Nuestra Senora De Africa: a sense of reception almost infinite. A warm attitude, a spirit of sharing missionary experiences, a good sense of humor, a communal joy that becomes contagious, a spirit of the body during community services, etc. made our stay not only peaceful but also an encouragement in our vocational journey. One would think we are in the presence of the authors of this word: “By this everyone will know that you are my disciples, if you love one another” (John 13-35). Yes, we saw and believed. It would be ungrateful not to say thank you to the entire community. Our meeting began on the morning of April 4th with a recollection on the theme: “managing my freedom”. Led by Georges Jacques, this time of reflection reminded us of Jesus’ freedom, which is submitted to the obedience of his Father’s will. Since the dawn of humanity, he said, man had difficulties managing his freedom. Far from being a poisoned gift of God to men, freedom is a great sign of trust and love. To be free is not to do what I want, but to want what I do, one says! To be free is to recognize myself as a limited being and thus make the choice of complementarity while respecting the differences. On a personal level, we were reminded that our freedom is at the heart of our limits. So to recognize and love them seems an asset in our life. No time to waste ! The afternoon of the same day was therefore dedicated to a global presentation first of the Sectors of Spain and France, then of the Province of Europe and finally to the sharing of our apostolic experiences, which would end in the afternoon of April 5th. It was a time for mutual listening, support and enrichment. It was a highlight for us! Is there anything more wonderful than a free, sincere and rich exchange! Is there any encouraging time more touching than the sharing of the various difficulties encountered because of social, climatic, linguistic change for some of us! Yes, we felt very comforted by the sharing of one and the other. In addition, we also talked about some practical points regarding our training. As an illustration: the stage report, the declaration of intent, the annual retreat and the local holidays. The time of relaxation has not been forgotten. 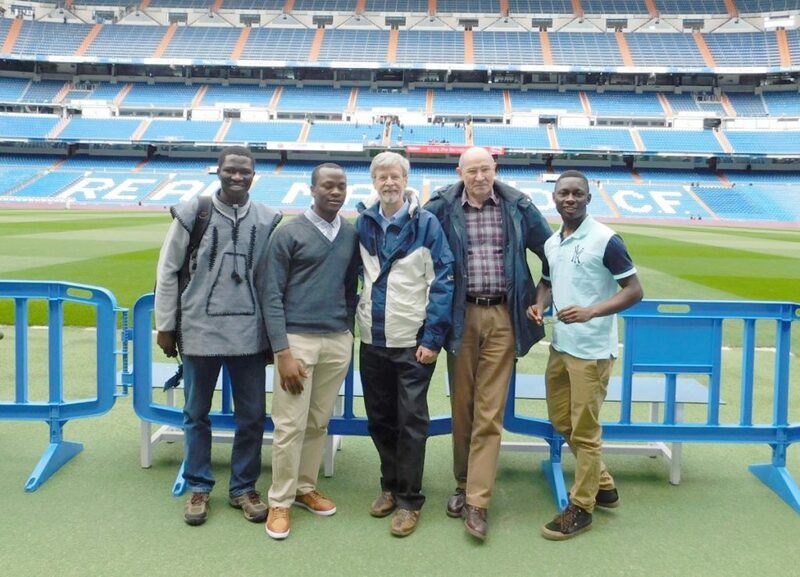 We had the opportunity to visit the Cathedral of Madrid, the Royal Palace, the Santiago Bernabéu stadium of Real Madrid, and in a special way the Missionaries of Africa project Africa Fondacion Sur. To congratulate us for this beautiful time lived together, a dinner party was at the rendez-vous at the Ham Museum.